Monrovia – In order to avoid human-to-human transmission of the deadly Ebola virus, the Liberian government temporarily closed schools, universities and other major public gathering points some months ago. 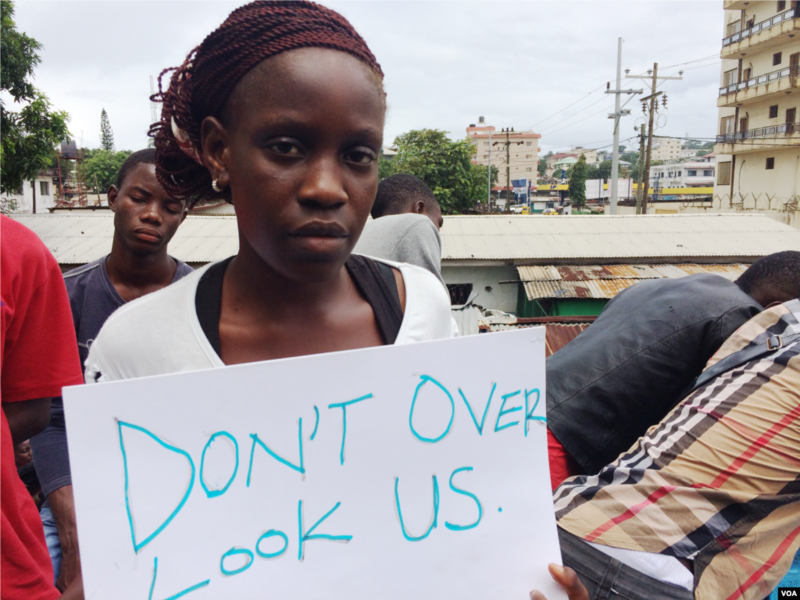 Without the prospect of going back to school any time soon, hundreds of students took to the streets of Monrovia Monday to express their frustration.For any employer, it’s good times in Liberia. Thousands of young educated but idle people abound since schools and universities have been closed for months. So it was no problem for Department of Children and Family director, Victor Fayah, to do recruiting for a non-paying job. The Department of Children and Family, is a small Liberian NGO, founded in 2013, that is now focusing on the issue of Ebola. Fayah said he and others feel left out by the public and international action against Ebola — despite being a major asset as communicators who can spread the word in 30 languages about how to stop the spread of Ebola across the country. On September 29, the NGO called on young Liberians to show up and sign up as volunteers to go to their respective communities in and outside Monrovia and raise awareness. On the balcony, outside Fayah’s office on the first floor of a blue and yellow concrete building, students held up posters and cheered. “We came to do awareness about Ebola. We try to fight Ebola, to kick Ebola out of our country Liberia,” she explained. But many young people used the opportunity to voice frustration too about the school closures. “I need for international community to come in with a quick response because we need to go to school. We need work. We can’t continue this way,” said Emmanuel Somah, 29, a sociology student at the University of Liberia. He keeps himself busy by studying on his own, he says, because he can’t find a job. 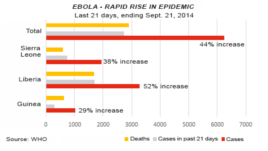 Monrovia is the epicenter of the current Ebola outbreak in West Africa. 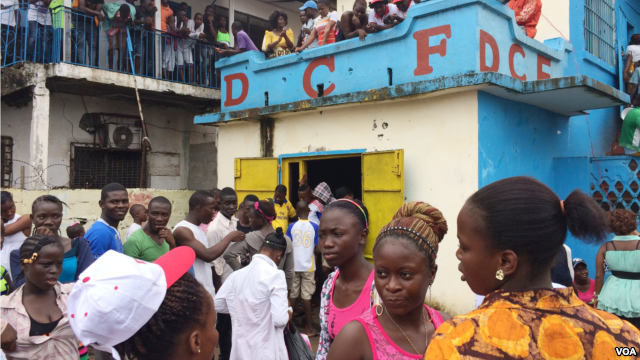 More than 1,800 people have died in Liberia alone. Victor Fayah says he signed up more than 700 volunteers to help in the fight against the virus – which the United Nations has designated a threat to global health security. The epidemic began in December in Guinea and is not expected to be under control until 2015.